Bellu Manor is a mid-19th century old Romanian style architecture monument, which belonged to the family of Baron Alexandru Bellu. Originally Aromanians from the Macedonian Pindus, from the town of Pella (birthplace of Alexander the Great), the family settled in Romania around 1780. Apparently, the buildings of the initial complex date back to about the same time — only perhaps a few decades later. The residence in Urlaţi was closest to the Bellus’ hearts. In Wallachia, the Bellu family made a fortune and became related to important local families of boyars (nobles), such as the Cantacuzinos, Văcărescus, Câmpineanus, Sturdzas, and other old Romanian families. Thus Alexandru Bellu’s grandfather, who lived in the 1900s, married Irina Văcărescu; the family later concluded a matrimonial alliance with Eliza Ştirbei, daughter of Prince Barbu Ştirbei — and the examples may continue. After having travelled to Maramureş once, many foreigners’ lives change unawares. They become “addicted” to the villages of Hoteni, Bogdan Vodă, Breb or Vadu Izei. Nothing is the same as before. Much more sensitive than the Romanians when faced with values that they themselves have lost forever at home, these foreigners believe that they have found “the meaning of the universe” on the Iza or the Vişeu rivers. While the Japanese, with their kamikaze spirit, buy themselves graves in the Cemetery of Săpânţa, the Americans, the French or the English go out of their way to buy “signs of life” or not miss celebrations that take place throughout the year, such as weddings, nedei [traditional festivities], and Sunday dances. More than once, due to their direct impact, traditional dances have resumed in some villages, traditional dress and customs have been preserved, old wooden houses (otherwise threatened by bad-taste, through the offensive tide of the little gypsum pillars and coloured ceramics) have been left standing. 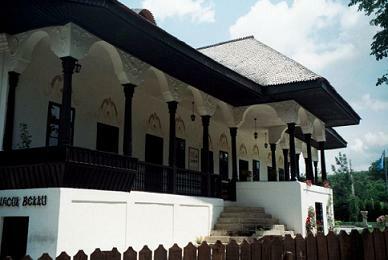 Without any exaggeration, if Maramureş is still the dreamland of a strong traditional lifestyle, this is partly due to the foreigners who love this unique area. Almost every Maramureş family is linked, by invisible threads, to one or more families abroad. When someone is born, gets married or dies in Maramureş, no one could care less in Bucharest, Timişoara or Constanţa. But they are sure to care in Paris, London or Washington. In a way, what happens in Maramureş today will happen tomorrow to the entire Romania, when it gets to be really discovered by Westerners. At least this is what a British poet and his wife, Peter and Beryl Riley, from Cambridge, believe. – How has a remarkable English poet as yourself come to spend his holidays in Romania, particularly in Maramureş?